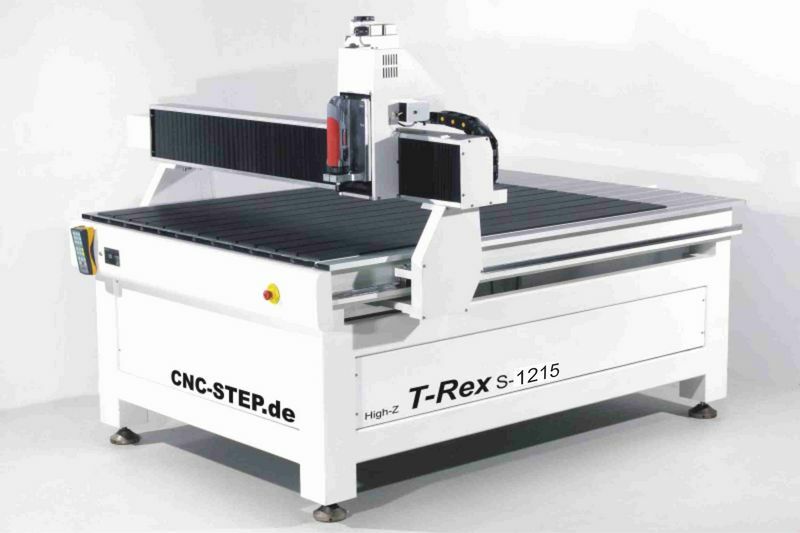 Buy CNC machines directly from the German manufacturer. CNC-STEP machines with excellent precision for wood, metal, stone and plastic. Our bestseller: With the High-Z/T CNC machine you are always making the right choice, no matter if you are looking for a CNC machine for commercial needs or private use. High speed, unbeatable precision and a minimum reversal play are the outstanding characteristics of this machine. Our low cost bestseller: With the purchase of a High-Z engraving machine you get a long proven system. It doesn’t matter if you are looking for a reliable machine to use in the industrial, trade or private sector. High-Z engraving machines are the right choice for 2D and 3D engraving, milling and cutting. 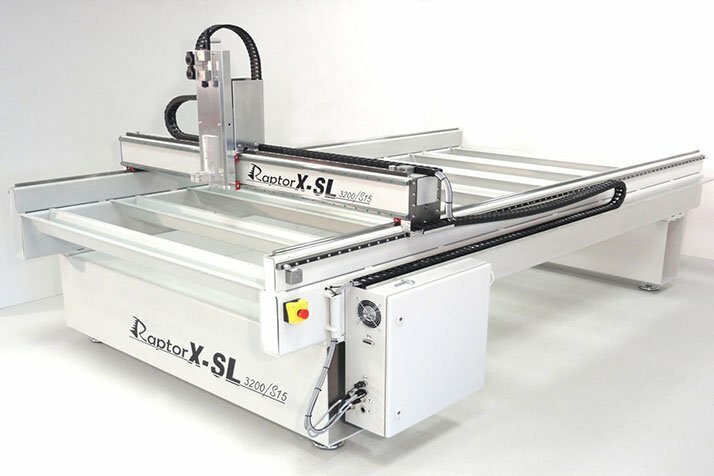 This machine is the link between our small, precise and well-tried High-Z CNC unit and the big RaptorX-SL XXL CNC machine. Steadily built with accurate components. Up to 2400x1200mm with cast steel. CNC-STEP quality in every detail. CNC machine for all purposes at an affordable price. Movement speed up to 40 meters per minute. Robust construction with high performance in a wide range of applications. Folr 2D, 3D milling, drilling, cutting and engraving. The future CNC milling machine. 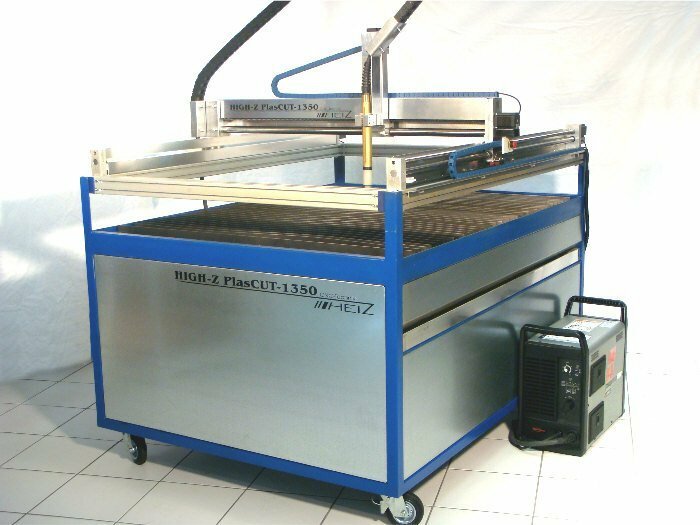 The PlasCUT-1350 combines the well-tried High-Z machine with a complete plasma system for cutting steel sheets into the desired shape. The plasma cutting machine cuts metal sheets up to 16mm thickness with a maximum speed of 2500 mm per minute. 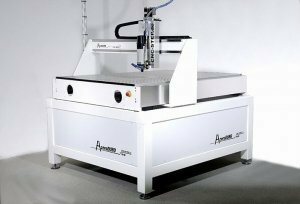 The PlasCUT-1350 makes the operator highly flexible because he can demount the High-Z machine from the bottom section to use it as a CNC router for milling wood and plastic and other materials. There is just a little adaption necessary by replacing the plasma torch with a milling spindle. GranitoGrav Photo engraving system for granite and glass. 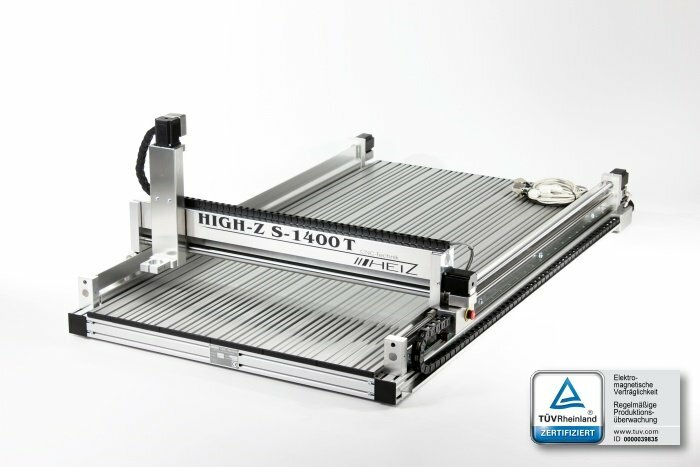 Including the CNC router machine High-Z S400T with high quality ball screws, the CNC module GranitoGrav and the engraving software at an incredible price. Whether on grave stones, plaques, tiles, glass, mirror glass – You simply upload your color or black and white photo to the software, specify the output of the desired size and calculate the toolpaths. Be creative with the GranitoGrav photo engraving System! As a German machine construction specialist, we know the challenge to buy an accurately working CNC machine when you don’t need a machining centre of hundred thousand Euros for your application. Right from the beginning, our motivation was to manufacture CNC machines which are also affordable for hobbyists taking that little space to put them into a hobby room, the garage or the basement. At the same time, the machines were meant to meet the highest demands in matters of precision, quality and ease of operation. Our bestselling machine High-Z meets these demands. The sales figures among hobbyists as well as businesspeople in the industry speak a clear language with worldwide more than 8000 sold machines of the High-Z series. In the area of metal and wood processing CNC controlled machines have long become indispensable. Even in the leisure sector smaller hobby CNC machines are on the rise and allow their owners a simpler and faster implementation of new ideas. 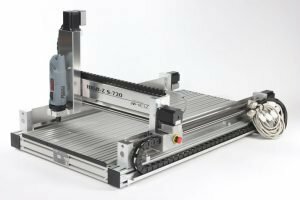 The first question that arises is: What makes a CNC machine become a popular tool? CNC machines are computerized machine tools that are capable to produce precise and extensive workpieces fully automatic! This requires a modern control technology. The latest CNC machines may have more than six processing axes: the main axes X, Y and Z and the auxiliary axes A, B and C each represent a rotation around the main axes. Three-dimensional workpieces can be realized in a very short time. Nowadays on most CNC machines little or no programming is required. However, manual programming of a CNC machine can be beneficial in correcting small errors. The conventional textual programming requires manual entry of path conditions, the G functions and the additional functions, called M functions. These were standardized as ISO 66025 for all CNC machines and are commonly used with the G-code name according to DIN / ISO. This manual input or programming is completely unnecessary today. 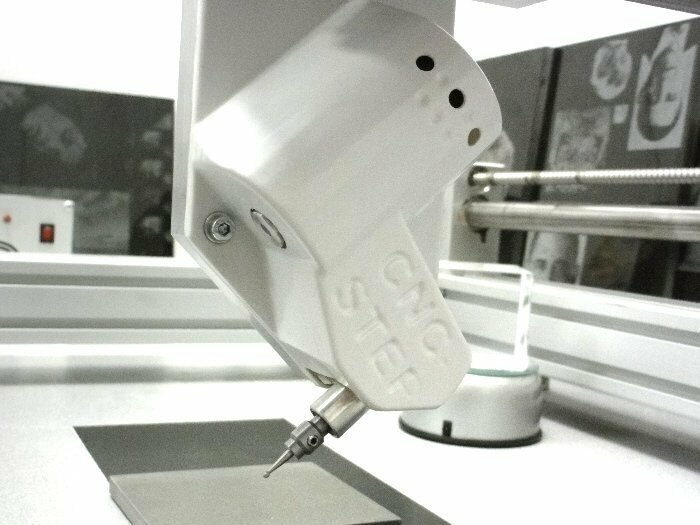 Modern CAD / CAM systems replace the textual programming by a graphical, workshop-oriented CNC programming. So, the designer simply draws the desired workpieces within the CAD program that converts this drawing into a finished CNC file. Subsequently, the computer-controlled CNC machine moves as programmed processing the workpiece. Since it is now even possible to integrate a quality control in the manufacturing process, is no more need for constant supervision of CNC machines. The tool wear is monitored fully automatically. 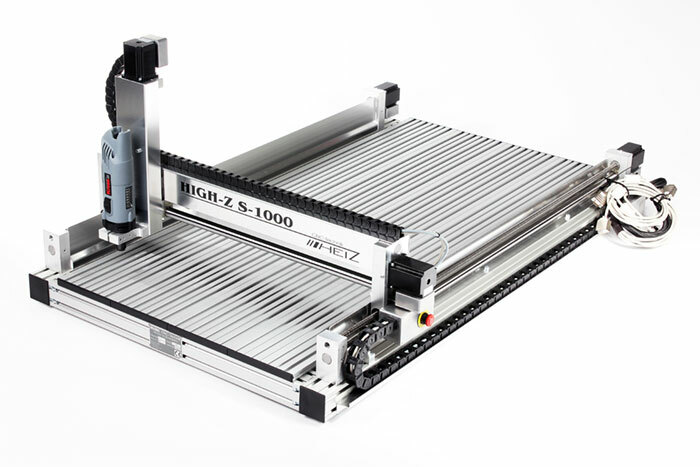 Any conventional machine can be extended by using standardized components to a CNC machine. It is important to keep in mind that with conventional milling machines, the backlash between the machine spindle and the spindle nut is compensated by the operator and by climb milling. Modern CNC machines are equipped with drive systems with ball screws or linear drives, which are virtually free of backlash. This also makes synchronous milling possible. The direct travel measuring system – A glass scale measures the position directly on the moving axis. The indirect travel measuring system – The rotation angle of the ball screw is measured this implies the linear axis position. A so-called PLCA functions as link between the physical machine and the movement control. A program is stored by the manufacturer that guarantees the function, of example, operating modes, safety door, coolant, lubrication and other aggregates. It serves as a linker and primarily determines the machine’s capabilities. Therefore, it remains unchanged even after delivery of the machine. Which fields make use of CNC machinery? Prices range from about five hundred euros to several hundred thousand euros. Much more important than the price are your wishes and requirements. The more precisely you know what you require to be satisfied, the more accurate a suitable offer can be made. Locate an authorized dealer – A milling machine should always be purchased from an authorized dealer. 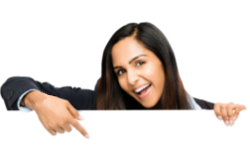 Only a fully-trained sales staff can suggest an appropriate model to meet your requirements. List your requirements – As individual as your wishes can be, as individual should be the given advice, because the more precisely your milling machine is tuned to the key points, such as size, performance and workpiece to be machined, the better milling results you will achieve later. Make sure not only the price is good but also the service is unbeatable – A dealer should offer you free support even after purchasing a machine so that the entry is easier and cheaper. He should also advise you adequate and understandable as a CNC beginner and maybe even offer a free demonstration to facilitate the entry and the purchase decision.